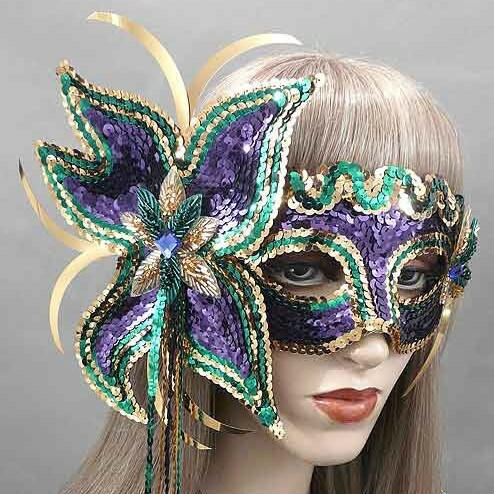 What do you do with your Mardi Gras mask after the party is over? Rather than just tack the mask up on the wall or stick it in a drawer here are six creative ways to display them in your home, shop or office. Then you can admire the artistry of the design of the mask all year long (and remember the good times you had wearing it). 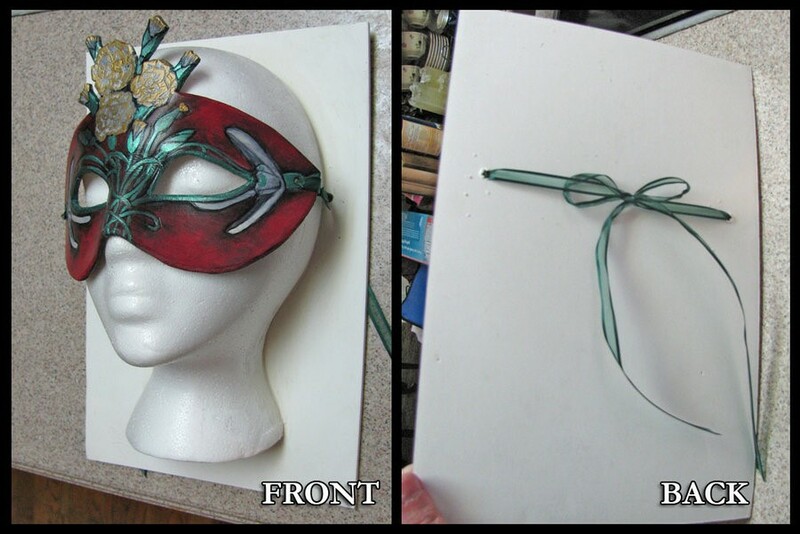 And putting your mask on a mannequin head will allow your mask to keep its shape so it will be ready to wear next time. 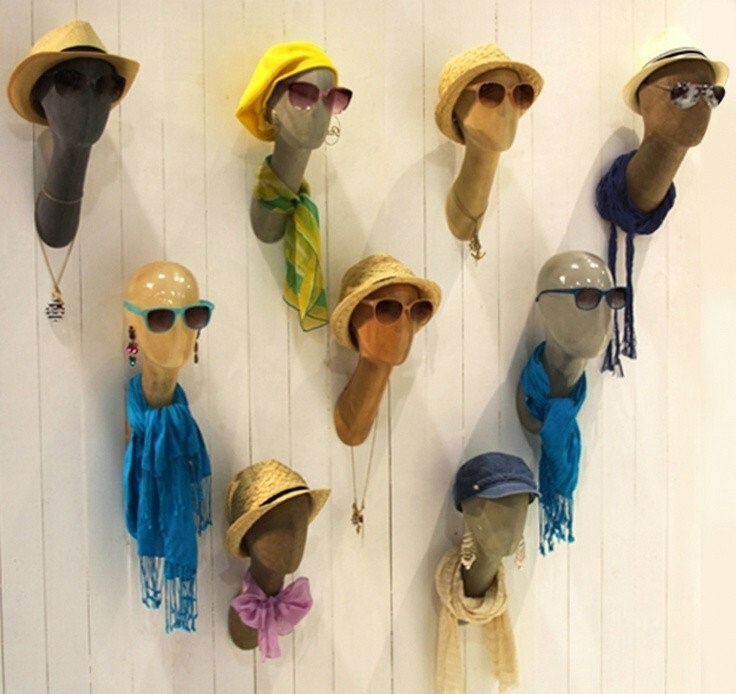 We have a range of styles of male and female mannequin heads so you can find one to complement the style of mask you have. 1 A styrofoam head is the most economical option. 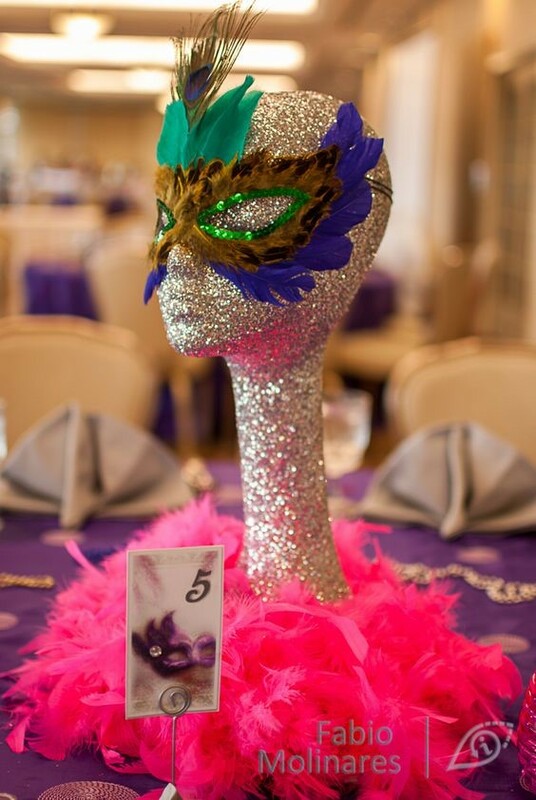 But to keep the head from looking cheap and ordinary, jazz it by covering it glitter or painting with stryofoam spray paint in a bright color. 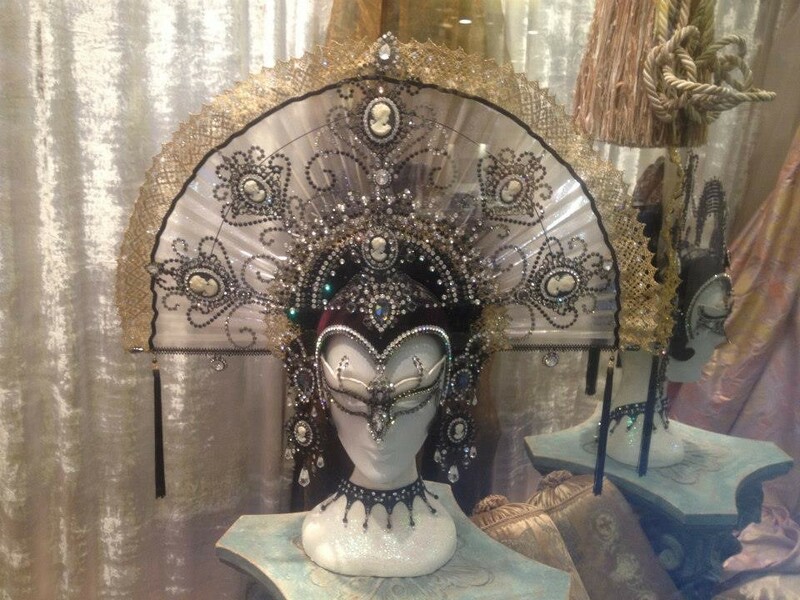 2 We have heads with a hand which can hold beads or other souvenir’s beside the mask. 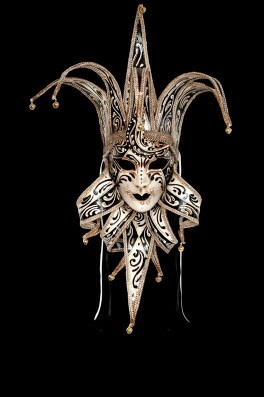 Many of the Venetian style masks have cascading decorative elements attached to the mask. 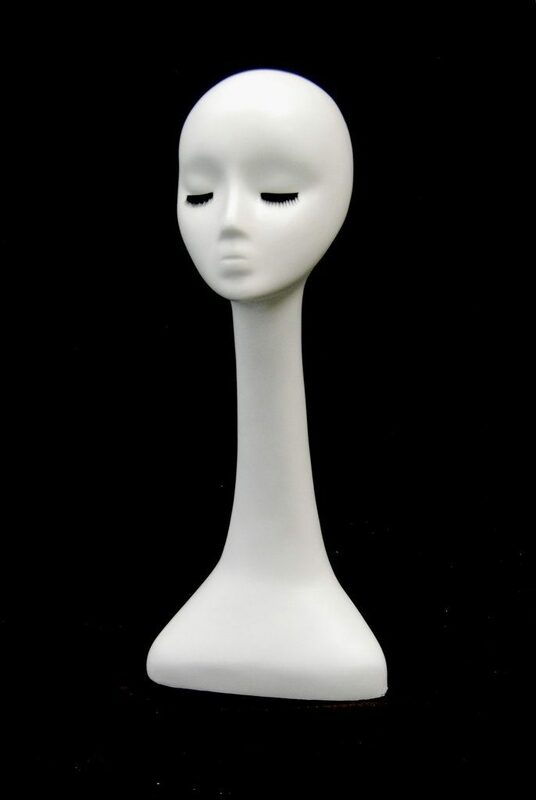 3 A mannequin head with a long neck would a good choice when the mask has other decorations around it. 4 Wall mounted heads that you can purchase here are a space saving display option. And you can display your mask out of arm’s reach so people can’t touch or damage it. 5 You can buy styrofoam heads (we sell them in sets of five) and make your own wall mount like this one. For a tutorial on how to create this wall mount click here. 6 Besides styrofoam heads, the next most popular head for displaying masks are heads that have a realistic face – with or without a wig. Our most popular realistic head is Megan below because she has ample neck and shoulder area for displaying jewelry. 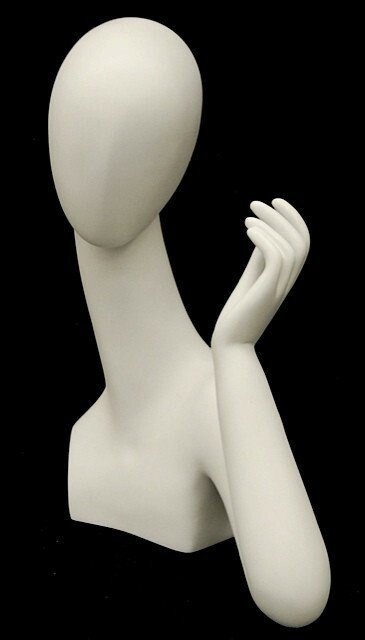 And photographers love this mannequin to practice their lighting techniques.